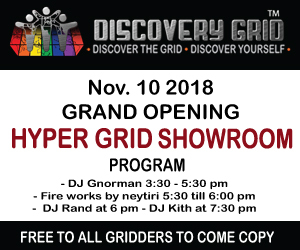 San Francisco-based Tipodean Technologies will open its Canvas Web-based viewer next week to a select group of beta testers, but Hypergrid Business got a sneak peek this week. A test version of the viewer will go live on Monday. Canvas isn’t the first multi-grid Web viewer for OpenSim. Last year, Japan’s 3Di Inc. released its Open Viewer. However, development on that viewer halted soon afterward as 3Di focused instead on a mesh-based commercial version of the product. 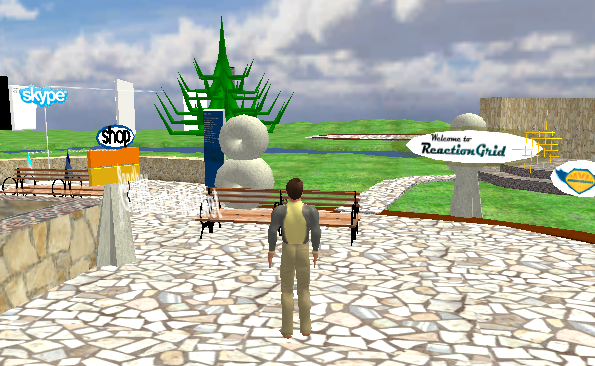 The open source Open Viewer that was released was never able to properly display Second Life and OpenSim avatars, for example. Not only is Canvas able to display these avatars but the company behind it is completely dedicated to creating a multi-purpose viewer for standard OpenSim and Second Life grids. Tipodean was founded in February of this year by Collins, who had previously been with Linden Lab for four years. He was most recently general manager of its enterprise division. Collins said that his experience with success stories in virtual worlds inspired him to quit Linden Lab to start his own company. Collins said that he licensed the Canvas technology from IBM. Tipodean is currently poised to become the Netscape of the 3D Web — making virtual worlds accessible to all — if the company is able to work the bugs out of the viewer and find a way to monetize it. Visiting ReactionGrid with the Canvas viewer. There are two basic ways to have a Web viewer. One way to to have a real viewer running on a computer somewhere, and steam the video from that computer screen to the browser. This approach is very expensive — each separate user has to be paired up with a computer or part of the computer that’s running the viewer software. The benefit is that you can have some very nice graphics as a result. The downside is that it can be a little laggy since there’s this extra computer in the mix now. It’s also hard to scale — if a million new users signed up tomorrow, there has to be enough computing capacity in reserve to run viewers for all of them. Putting these computers in the cloud helps address this concern, but doesn’t fully solve it. Finally, it’s expensive — somebody has to pay for all those computers or those cloud-based computing cycles. Either the virtual world operator picks up the cost, or the folks who rent land in the virtual world and want to make it easier for folks to visit, or the end users have to pay for the browser-based access. Some video game companies are experimenting with this approach, as is the virtual worlds company behind Blue Mars. The other approach is to strip down the viewer to a minimum, so that the whole thing can run right in the browser. You’re not going to get the same degree of functionality since there’s only so much a browser-based application can do. But this approach is low-cost and completely scalable. That’s how Canvas works — it is an application written on the Unity 3D framework that runs right there in the browser. According to Collins, one model for Canvas might be YouTube. You go to the Canvas site, and visit and of the worlds out there — or embed a little window to your favorite world on your blog or website. The big difference is that YouTube hosts all the videos, not just the player that shows the videos. This requires a great deal of investment in infrastructure. The Canvas site will only need to host the viewer — the OpenSim and Second Life worlds are all hosted elsewhere. There will be two other options, Collins said. Companies can buy a license to the Canvas software to include on their own Website, with their own branding, for $10,000 a year. And companies that don’t want to host the viewer, but do want to have their own branding on the player, can have Canvas host it for them. Pricing for the hosted private-label viewers hasn’t been set yet, he said. Neither has pricing for the public viewer, he added. Canvas is easy to deploy, Collins said, since it uses the LAMP technology stack — Linux, Apache, MySQL and PHP. “You can put it in a number of places,” he said. Canvas will work with all the standard OpenSim-based worlds, and will even work with the hypergrid, he said. There are no plans to create a separate, Canvas-optimized version of OpenSim, as 3Di has done with its viewer. Rezzable recently announced plans to release their own Unity-based Web viewer for OpenSim. The viewer can be tried out on their Heritage Key grid. If Rezzable releases a free, open-source version of their viewer it could put a serious kink in Canvas’ business plans. Another possible source of competition is from the direction of HTML 5 and Web. This week, Katalabs released an HTML 5-based viewer for Sirikata, another open source virtual world platform. HTML 5 and WebGL, although very promising — and embraced by Apple, Firefox, and Chrome — is only available today in an experimental beta release of the Firefox browser. Once these standards mature, however, we might see viewers coming out that take advantage of them. Meanwhile, 3Di has a head start in selling OpenSim on the Web to corporate customers, even if that market has been limited so far to Japan. Finally, Linden Lab has its own Web-based viewer in the works for Second Life. Like the Blue Mars plan, it uses streaming to deliver the experience, so it’s likely to have a cost associated with it, to be paid either by region owners or by end users. The Canvas viewer doesn’t currently support most of the features familiar to users of the official Second Life viewer or third-party viewers like Hippo and Imprudence. There are no in-world building tools yet, for example. There is no media-on-a-prim. In my testing, I also couldn’t access my inventory, sit down, or access many other common functions. I could chat with other people on the region, and see their avatars, but my own avatar showed up as a cloud to them — and as a random, unrecognizable avatar to me. There’s also no support yet for mesh. “But Unity as a plugin, in general, supports mesh, so it’s something that can be enabled,” he added. It also supports the Vivox plugin, meaning that Canvas users can use voice on Second Life grids and on OpenSim grids that use Freeswitch. There is not support yet for the Mumble voice system which is currently being tested in OpenSim. Another problem was that the viewer crashed for me every few minutes. Of course, this is all to be expected in a viewer that’s only just been developed and hasn’t even hit the testing stage yet. Overall, the Canvas viewer is already farther ahead than any other Web-based viewer for Second Life and OpenSim and, if development continues, could be a big force. Despite its problems, I found navigation was easy and intuitive, and the chat worked great. I visited two grids running two very different version of OpenSim — OSGrid, which is running 0.7, and ReactionGrid, which is still on 0.6.9 — and was able to walk around and interact with other avatars. Media-on-a-prim can sound like a strange request — after all, you’re already on the Web. Why do you need a Web windows inside a Web window? If you want a little Web screen, you can just stick it in the viewer’s sidebar. But having an in-world Web screen is nice if you’re running the viewer in full screen mode — which I will be, as soon as it’s available. In addition, if you’re using media-on-a-prim to create in-world navigation screens or menus they won’t be very useful if they out of context in a sidebar.